Are you ready to turn your life around? Dynamite’s 180 is a combination of homeopathic and herbal ingredients to aid your body in accessing abnormal fat stores, eliminating toxins, resetting your hypothalamus, and creating a feeling of well-being. Dynamite 180 is an all-natural, homeopathic, herbal product and does not contain any hormones. Supporting your filtering organs during this process is critical. 180 contains added herbs to help your body support toxin filtering while you are burning up ‘old fat.’ Additional ‘helper’ herbs are also included for good measure. Have you made the decision to turn your life around with our 180 product? You are not alone! There is a Dynamite 180™ Support page on Facebook where you can find encouragement, ideas and support. Dynamite 180™ is a homeopathic remedy to help break the body’s addiction to carbohydrates and sugars, simultaneously helping the body shed excess body fat. Through the process, the brain learns to read hunger, digest food more proficiently and burn its fat stores. We love hearing your stories of how 180™ has helped turn your life around! Feel free to email us here. I did 180 last year. After 42 days on Dynamite 180, I had lost 20.6 pounds and 20.75 inches, including 7.5 inches from my waistline! I continued to lose a bit during early lock-in. During the 180, I had plenty of energy and only got hungry right before meals. This product rocks! I am doing 180 again with my goal being to get back into my favorite clothes from freshman year in college. For the last 15 years I have been unable to satisfy my hunger and have slowly added 35 lbs to my 5’4 frame. I used to be able to eat whatever I wanted, exercise a little and lose weight. Now at almost 60 years old and 169.6 lbs. this fat doesn’t want to go away. My hunger for carbs is a true addiction that I could not consistently control until I tried Dynamite 180. What an amazing product. After 2 weeks, I have been free of my obsessive hunger and have lost 8 1/2 pounds. It’s the start of a healthy life style that I can achieve with the help of Dynamite 180. For years I have been overweight. Using another popular diet, I was able to lose 20 or so lbs. but got stuck there. I figured this was my “skinny” weight, until I tried 180! This got me into new territory where I hadn’t been since my teens. My weight loss journey is still a work in progress, but my old skinny weight is a good 20 lbs. higher than where I am now. I am working on getting off a few more lbs… then I am going to stabilize, which I have not yet done. I am confident with the support of the Facebook groups; I will get there this time! I have learned so much about what is healthy for my body. Adding Dyna-Lite helped my hunger cravings and is supporting my thyroid. I also rely on Mega Botanicals daily as well as DM Plus, Tri-Mins, Elixir, and an occasional Premium Magnesium. I have been able to go off Free & Easy since cleaning up my diet on 180. I no longer feel the aches in my joints. I have struggled with weight all my life, going up and down with various diets, but never really achieving a master plan. This is the first diet that makes me feel that I could live with it. I love that I am eating real food and thoughtfully putting together meals that are nutritious and tasty. I love that I can feel satisfied without breads or carbs and have no cravings for sweets. I love that I can trust that I will continue to lose weight while taking good care of my body and eliminating toxic foods from the past. I love that I can let go of certain medicines because this new way of eating is healthy for me and the issues I faced before the diet. I am happy to have finally found a way to eat fruits and vegetables and proteins in a way that I can continue and I really never feel like I must cheat. The support system is amazing. I love this program. I have been a yo-yo dieter for years, gaining and losing the same 20-30 lbs. since high school. Until I hit my 50’s I was able to lose, but never to maintain my loss for more than a couple of years. Having seen some unflattering pictures in June of 2011, I decided to try 180 based on the recommendation of a friend/distributor. I had been trying to lose the 30 lbs without any luck, trying a number of other diets and none of them would budge the weight. I managed to lose the 30 lbs and many inches with the 180 protocol. This “diet” also became a way of eating clean and a lifestyle change. I do feel so much better because of this way of living. I will continue to take advantage of the great support network I have found with this program. My husband Jonathan and I had determined 2011 would be the year to get in shape. 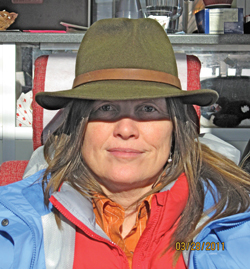 I am going to be 50 next year and was feeling the effects of post-menopausal weight gain. Jonathan was feeling the effects of years in corporate America, extensive travel and less than optimal exercise regimen. We were looking into exercise vacation packages and trying to figure out how we could combine getting fit and having fun. Another Dynamite Distributor, Jen J., was at a horsemanship clinic we were hosting. 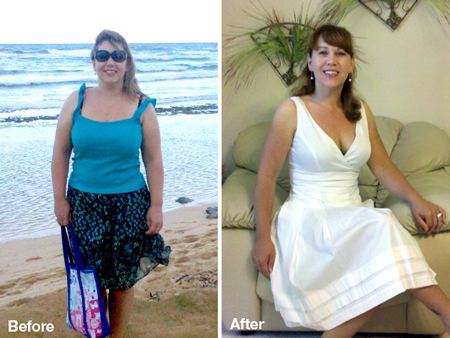 She told us about a nation-wide challenge for a new Dynamite product that was similar to HCG. We researched & decided to participate in the challenge. During the Dynamite Challenge, I lost 23.4 lbs in 8 weeks. That was an average loss of 2.925 lbs. per week. My husband, lost 47.4 lbs. in 8 weeks–an average loss of 5.925 lbs. per week. We have completed the lock-in phase of the 180 protocol. Since we started lock-in I have lost 2 more lbs. and Jonathan has lost 13. We have lost nearly 86 lbs. combined! We are now in the maintenance phase and are slowly adding more variety to our food choices. Not only did my husband and I have phenomenal results during the Challenge with 180, we have maintained at or below our goal weight. 180 and the protocol have given us the tools to get the weight off and maintain with healthy eating choices. I am proud to be a Dynamite distributor! 180 has changed my life. Thank you!! I lost 35 pounds using 180. After having liver issues, I hit the wall and decided to give the product a try. It was easy to do and many friends and family members wanted to know the secret. I enjoy helping others feel this great physically and emotionally. I had my blood analyzed at a 6-month check during the most stressful work week…the last week of school in a 7th grade classroom! 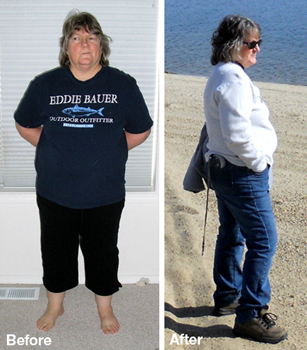 I had great results in previous trouble areas–even without fasting. HDL–My good cholesterol went from 61 to 75. Triglyceride–My bad cholesterol went from 171 to 66. Glucose–103 to 94. ALT–My liver enzymes went from 59 to 29. The doctor told me that he has never seen ALT change like this before. Everything else was in mid range. Thanks again! My husband and I went on the Dynamite 180 protocol. In just 7 days, I had lost nearly 7 lbs (only 1 lb shy of my goal weight!) and hubby lost 10 lbs. At 14 days, hubby has lost 14 lbs total and his pants are all too loose! I’m now happily at my goal weight. My reason for going on the protocol was not really for losing weight (since I am not overweight) – though it is nice to get myself to the weight I want to be, which I could never seem to do before. I really wanted to break some of my bad eating habits and addictions, such as too much sugar, chocolate, and goodies. My husband did need to lose weight, but he is a total diet rebel. He said it wouldn’t work, he couldn’t do it, etc., but I convinced him to just give it a trial. He faithfully took the drops, followed the meal plans, and was amazed that he was not that hungry, and had tons of energy – even on the days when he had to work physically hard. Soon he was very self-motivated, especially when he saw that the scale was dropping every day. It now seemed easy! The limited food lists forced me to get creative with recipes, which was fun and challenging. We also ate vegetables that we do not normally eat, and discovered that we really like them! And we truly appreciate all the food that we do eat so much more than before. We have a greater awareness of every bite of food that enters our bodies. Probably the best side effect we’ve noticed is the increased energy, and feelings of well-being. On the 180 protocol, I’ve been even calmer and more relaxed, sleeping great, getting tons of work done, and more productive than ever. I feel like my brain is clearer and more focused. I feel more connected and in tune with myself. And the food addictions? I have had some minor cravings during the diet, but it has been very manageable, with the help of a little stevia for sweetener. I have not cheated once! The chocolate and sugar cravings have slowly disappeared, and I think when I do finally allow myself to taste those things again, I will have a much different relationship with those foods. 180 is more than a diet – it is definitely a life-booster! I started the 180 Diet in late February and have lost 27 pounds in ten weeks. I am completely blown away by the way I feel and look. This stuff is the bomb!My goal is to loose a total of 40 pounds so that I can fit into my size 6 wedding dress for our 20th wedding anniversary. The crazy thing about this diet is that once my co-workers saw that I was looking better every day they asked questions and now 6 or more of them are doing the 180! I love it! I have a group of working woman and husbands wanting to get healthy. Its truly amazing…. Jacqueline’s Story—OH WHAT A FEELING! What a wild trip this has been! I’ve lost 8 lbs. in 13 days. Glenn has lost 13 lbs! This has changed my life. I have never felt better! Clear eyes, clear-headed, energetic, happy and so proud of myself! I’ve learned that if I have a craving for something off protocol, I make a conscious decision to either eat it or not, before just blindly shoving it into my mouth. I feel more relaxed about it and have even come to like that feeling of being a little bit hungry! No more panic mode when I get hunger pangs. Keep on keeping on! The big disappointment is we haven’t done much shopping yet. Mostly because of stacks of jeans and shirts in descending sizes saved for that someday when we lose weight. Roger is nearly to the bottom of his smallest sized stack; I’m halfway through my stacks. Shopping is on the horizon! And, a couple new stacks have appeared, ready to find new homes—the, “these are too big” stacks! Since beginning the Dynamite 180 program on New Years, Roger has lost a whopping 40 lbs and I have shed 20. We have not been hungry on the protocol, and have eaten well despite the somewhat limited menu choices. Since we both love to cook, we have actually enjoyed crafting different appetizing meals. Our energy levels are higher, we both sleep better. The winter blahs have not been an issue this year as our attitudes and outlooks are much more positive. I’ve never been calorie counter. We have tried to eat wisely, eliminating fast foods, sodas, and those sorts of things. Still over time, the pounds accumulated—a couple of pounds a year. In a thirty year span that turns into a lot of pounds. We both realized we needed to change; our health was in peril. But the diets we tried just didn’t seem to work, and in fact added to the problem with yo-yo increases. I can’t tell you how excited we both were when Dynamite announced the 180 protocol. We knew if it was Dynamite, it would be the real deal. It is such a rush to get on the scale in the morning and see the pounds slipping away. To see the carbohydrate cravings disappear. To know we finally are getting control of our lives. Dynamite 180 has allowed us to see how eating habits have affected us, and to finally realize where food really fits into our lives. This is about so much more than just losing weight. It’s about changing your life, about saving your life.For anyone who wants to lose weight whether it be five pounds, or more than fifty pounds, Dynamite 180 works. It will change your life. Someday is today! After our first week on the 180 diet my husband is down 5 lbs and I am down 6 lbs with 3 1/2 inches off my waist and 3/4 inches off each thigh! We’re really enjoying our meals too! Probably one of the most challenging parts is ensuring we are drinking enough water. I fell off [the protocol] for a few days but found I wasn’t craving the carbohydrates and sugars at all. I got back with the protocol and lost another 2 lbs yesterday! My scale hasn’t shown these numbers for a very long time. Last weekend I wore a pair of jeans that have always been snug and uncomfortable, but they were almost on the loose side and super comfy. It feels great! When I started the 180 program 6 months ago. I didn’t really have a weight loss goal in mind, I just wanted to see if it would work for me. I didn’t always follow the protocol, but through holidays, stalls, one lock-in, old set-points, “cheating”, and struggles, I’ve lost 70lbs in SIX months! I also know how to keep it off! Out of the what, how, & when to eat, I struggle mostly with the “when” part. I’m still working on that. Re-reading the 180 product usage protocol booklet and following the great suggestions from the 180 support group have given me some helpful info, things I wasn’t doing correctly. So, thanks to all you group members for your help and…..Thanks, Dynamite! If you have a 180 story you’d like to share please follow this link.